Greetings from Virginia..wish you were here! Photo taken on our first family hike in the Shenandoah National Park. 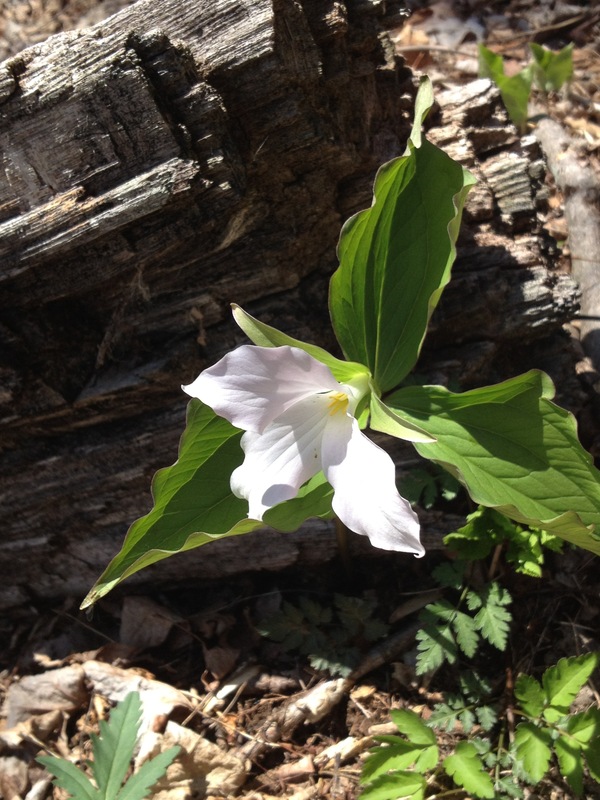 I spotted this trillium along the barren forest floor on our waterfall hike in the pre-Spring Shenandoah National Park. It was so lovely against the brown ground that I could hardly resist a photo of it reaching towards the sky. I love trillium. When I was little, I used to pick ones growing in our woods to give to my mom (we lived in the country). I wouldn’t do that as an adult, but it would appear that I didn’t do too much damage since they bloomed in great number year after year. I have never actually seen one before this trip! I can’t imagine having them everywhere where I grew up. I would have picked them too! We had lots of lilacs. I love those!